Asus is betting big on storage by releasing a new smartphone that has more space than many laptops. 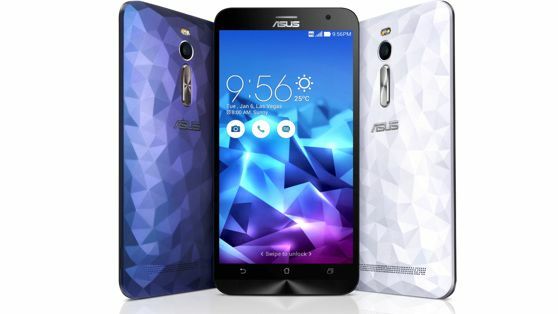 The Asus ZenFone 2 Deluxe Special Edition packs a huge 256GB of internal storage, two new designs and is currently available in Brazil, however, there could be plans to bring it to the rest of the world in due course. Beyond the storage it also has an impressive 4GB of RAM, a 5.5-inch Full HD IPS display, 13-megapixel back camera and a 5-megapixel lens on the front, a 2.3GHz 64-bit Intel Atom chip and 4G-LTE as standard. Asus used the same event to bring the ZenFone 2, ZenFone 2 Laser and ZenFone Selfie to the Latin American market, namely Brazil, for the first time and it gives prospective smartphone owners on the continent plenty of choice. As Android handsets go, the ZenFone 2 is at the cheaper end of the market and the extra memory isn't expected to ramp up the price. Combine the 256GB of space with its 5.5-inch screen and it gives some of the more expensive handsets a serious run for their money. Asus has been tight-lipped over whether it will eventually bring the 256GB internal memory edition of the ZenFone 2 to the European or North American markets and you'd think that much will depend on how it does in Latin America.